Who Is Entitled to Child Support? | Lawyer. Family Law, Real Estate Law and Litigation. Toronto, ON, Canada. Home » Blog » Who Is Entitled to Child Support? When it comes to child support, there are a lot of variables involved. In order to help you understand who is entitled to child support, Family Law Helps, your divorce & family lawyer in Toronto & North York, has put together some basic information regarding the subject. Who Receives the Child Support? Child support is a child’s right and not a parent’s right. For this reason, parents find their rights limited when it comes to making child support deals. The parent that is caring for a child on a day-to-day basis is usually the one that receives the child-support. This parent may be primarily caring for the child or the responsibility may be shared with the other parent. In addition, there are childâ€™s special expenses associated with the childâ€™s extracurricular activities (sport), education (tutoring, tuition in college/university), health (for the child with special needs). Both parents have to financially contribute to these expenses. For this purpose both parents have to exchange their respective Income tax returns and notices of assessment every year and contribute to these special expenses proportionally. Therefore, child support consists of two parts: child support table amount and child support for special expenses. Child support is always paid directly to the parent, and not to the child when he is a minor. If parents resolved the issue of child support by way of separation agreement, then child support is paid to the custodial parent directly. If in the future, the parent who is paying child support stop making monthly child support payments (including his share of special expenses) then the parent who is receiving child support may file the separation agreement with FRO and the latter will enforce it in the same way as a court order. If there is a court order, then child support is enforced by Family Responsibility Office. There is often a lot of controversy about this point but legally the support needs to be paid to the parent incurring the child care expenses. This can include the basic day-to-day expenses as well as after school and sports activities costs. 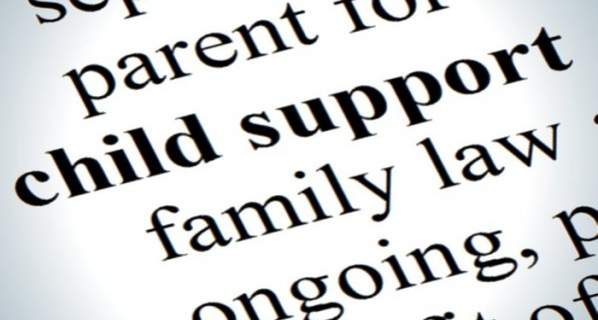 There are two parts to child-support, which include a table amount and an additional payment. The table amount calculation is based on the income of the parent that needs to pay the support while the additional payment covers extra expenses such as day care, schooling and extracurricular activities. While the table amount is paid monthly, the additional payment may either be paid monthly or at various times throughout the year. When a child remains in school past the age of 18 and is still financially dependent on the parents, child-support will continue for a reasonable amount of time. As well, if the child is financially dependent on his parents after he turns 18 due to medical reasons, the support must continue. When a child lives at one parentâ€™s residence for most of the time but spends a minimum of 40% of his time with the other parent, there are special considerations that will apply. This is also the case when the parents each have a child that lives with them the majority of the time. When it comes to child-support, you’ll need to get the right information that applies to your own specific circumstances. Call Family Law Helps, your divorce & family lawyer in Toronto & North York, at 416-258-9566 or fill out our â€œfree questionsâ€ form today.